Didn’t have a real good sleep last night, I was dreaming about .NET garbage collection optimisations all night after spending about 12 hours yesterday on them. The good news is that I’ve cleared them up, the bad new is that they weren’t all that big a problem in the first place… the reason it was glitching on my PC was background processes spiking not garbage collection… bloody Vista! 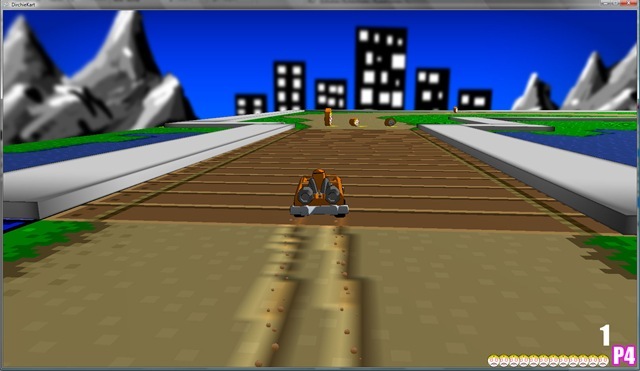 Anyhow the up side of this work and some transformation updates is that Dirchie Kart is now running at a silky smooth 60 frames per second with 3 player split screen on the XBox 360 (need to buy another controller so I can test 4 player). I’ve got plenty of spare CPU and GPU time for the rest of the features, which is a pretty good place to be at this stage of the project. We’re slowly getting there, stay tuned.